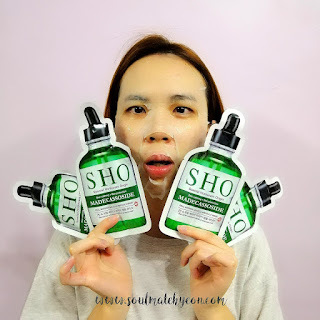 Today I will be reviewing two popular products from SHO - brightening ampoule and soothing sheet mask. 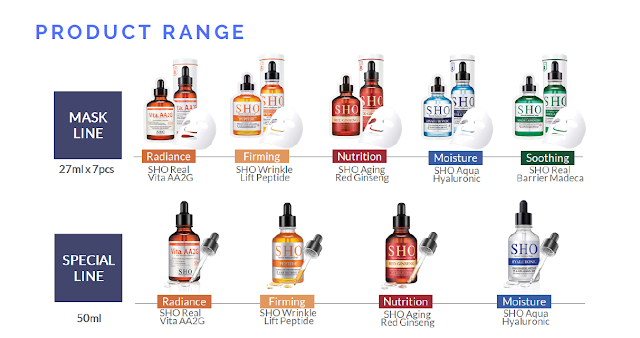 Just before we head to the product review, let's understand SHO's brand concept a little bit. 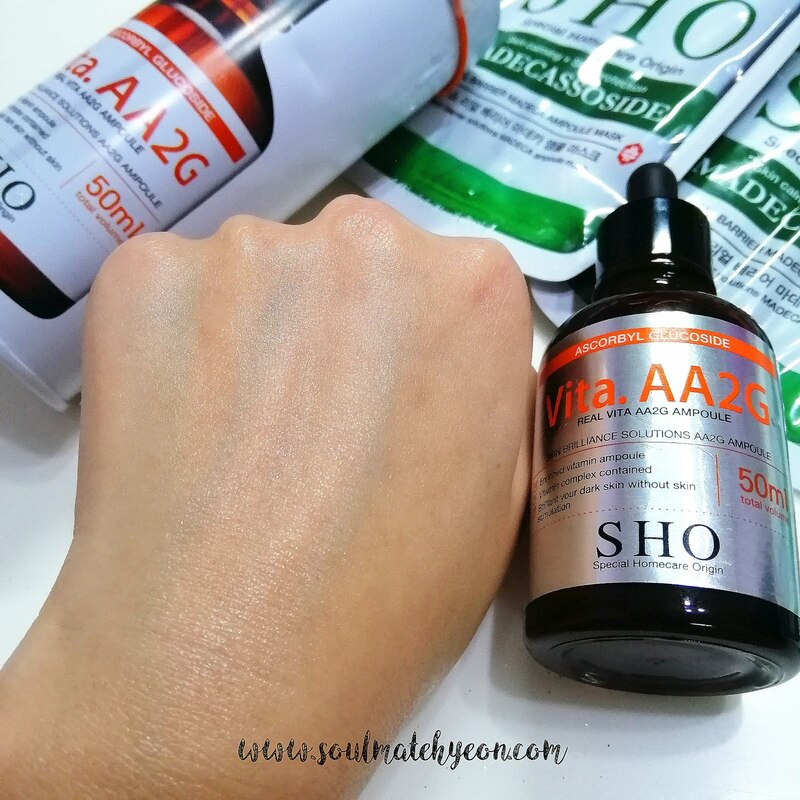 Originated from South Korea, SHO offers a range of fine ingredients skin care products which aim to provide modern working women in urban areas with high-quality home care treatment. 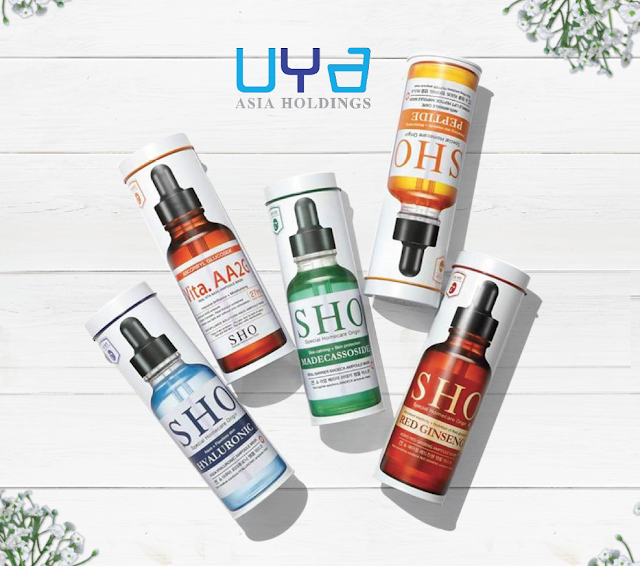 With that saying, thanks to UYA Asia Holdings (sole distributor of SHO in Malayisa) for bringing this skincare brand into Malaysia, so we could enjoy this home care treatment conveniently without leaving the country! 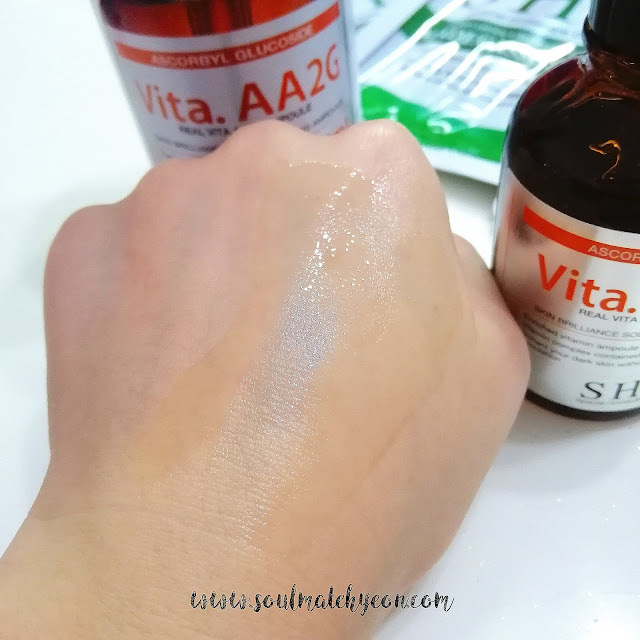 Actually I haven't been trying many ampoule products out there because they are usually pricey compared to other skincare products (i.e. 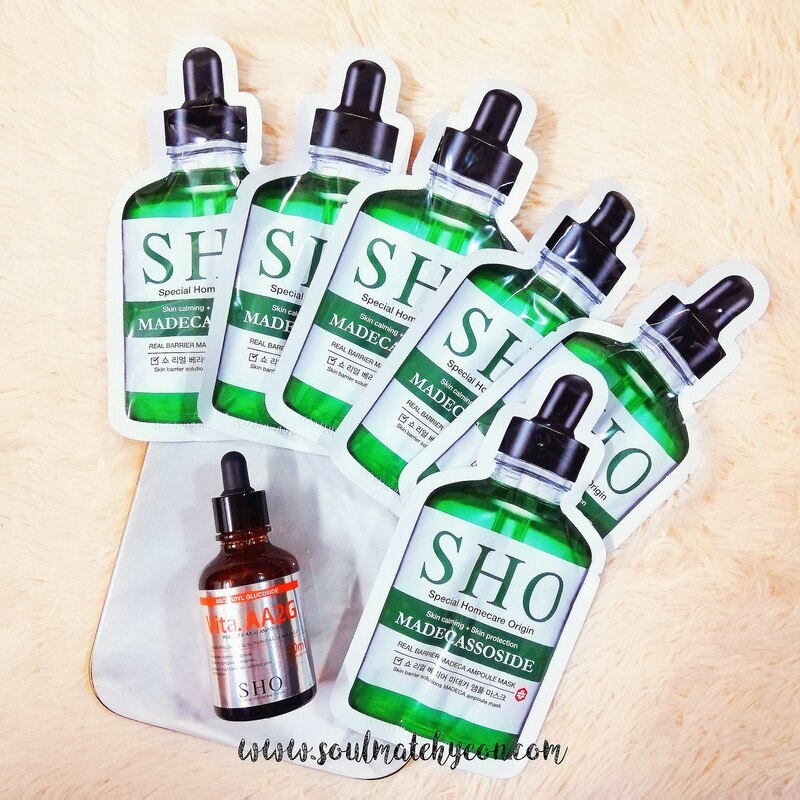 serums). I know it must be confusing for many since we have SO MANY skincare terminology nowadays. What is "serum" and what is "ampoule"? OKAY. Think of it like this. Ampoules are generally more expensive because they are the concentrated version of a serum. (which makes sense, right?) So ampoules are more like a booster shot, which they contain a higher amount of active ingredients. Also explains why they are commonly found in sheet masks (boosters, remember?). 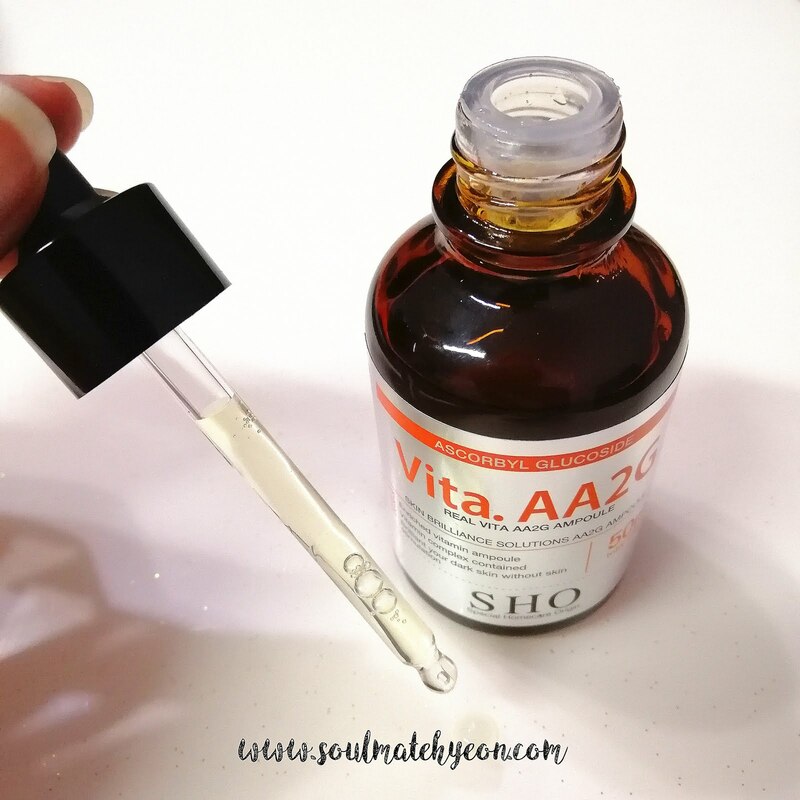 In short, ampoules are more potent than serums. And that's what SHO is bringing to their customers. Probably because my irregular lifestyle for the past few 2 months, it seems like my skin problem is never getting less. :/ Whiteheads and blackheads are growing like crazy... and I kept picking them like crazy too (I know that's forbidden, but I can't help myself :s). This Real Vita. 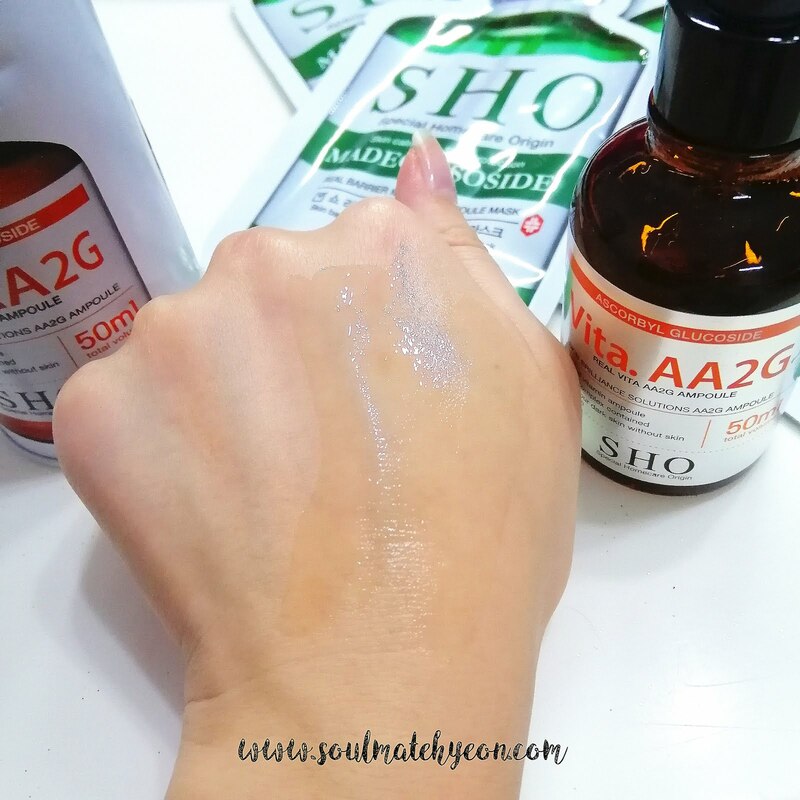 AA2G Ampoule does come in handy because it's offering the key benefits that I'm looking for. Sea Buckthorn fruit extract and Kakadu plum extract that keep your skin healthy and glowy. Balance care, skin protection, boost skin vitality, intensive brightening, skin revitalization, moisturizing and gives skin a beautiful sheen. 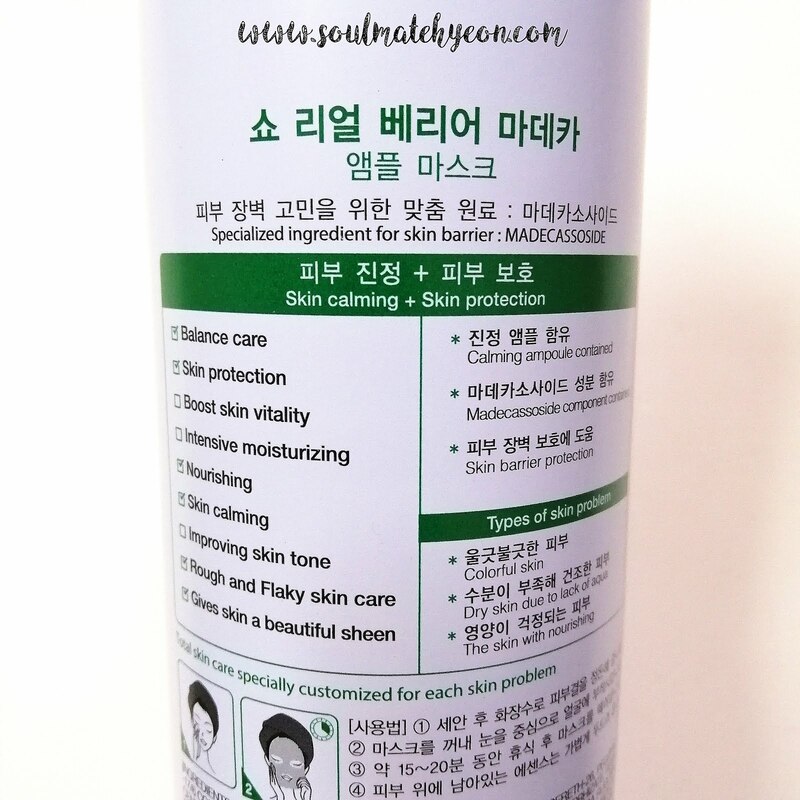 Dry skin due to lack of aqua, dark and dull skin, the skin without moisturizing. The ampoule is packed securely in a tin cylinder package. The tin holder is definitely a good protection from sunlight exposure and cargo delivery process. The viscosity of ampoule is very much like oil - watery, but not those runny type. It has a fruity citrus smell. When I first got the product, it is clear white in colour. If you have had Vitamin C products before, you will know that sooner or later, the product will turn yellowish due to oxidation. That's normal, just try to finish it before it turns brown. After cleansing and using a toner, dab a moderate amount of essence onto your face. Spread it on evenly. Then gently rub the essence in, letting it absorb into your skin. For my case, I apply my whole face with a thin layer of ampoule. 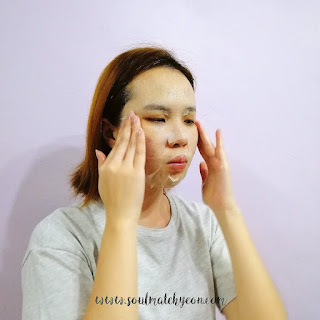 Then I proceed to apply another layer on my cheeks, especially on my freckles, for reason (1) intensive brightening care and reason (2) dry skin. 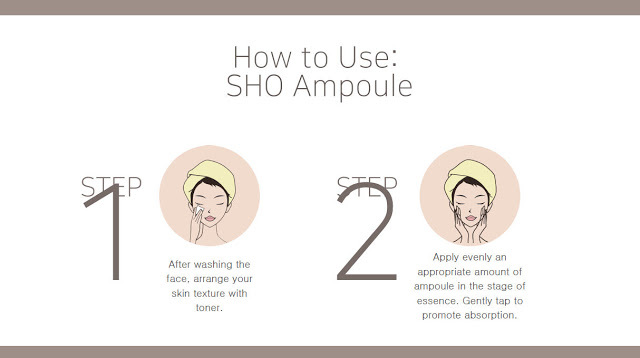 In the beginning, you will sense a subtle heating effect on the skin surface after applying the ampoule. However, the heat will die down fast after the product being absorbed into the skin. Be observant on how your skin react. 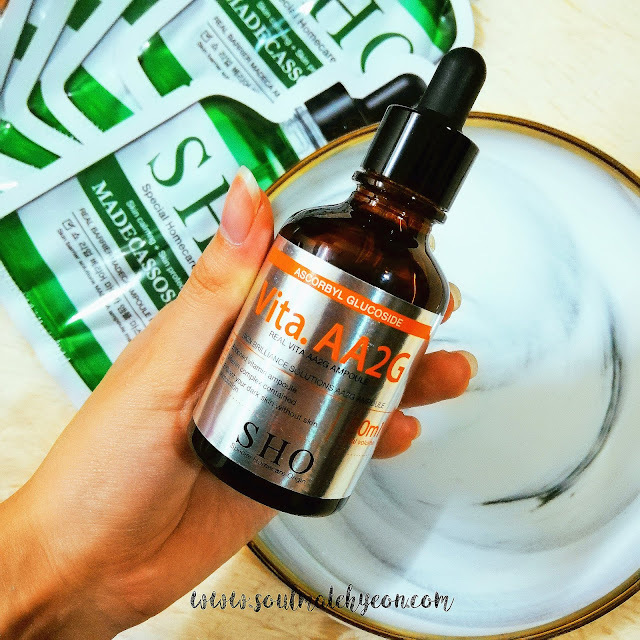 Initially I was hesitating on trying oil base product since I'm having combination skin (oily on the T-zone). I'm afraid that it will give me more breakouts. 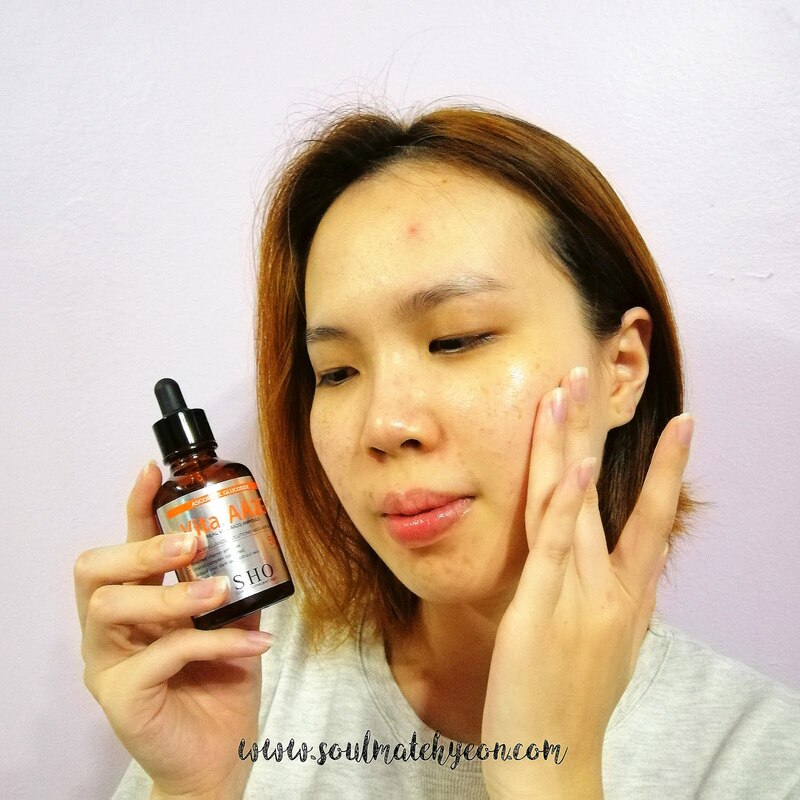 Surprisingly, my skin taken in the ampoule nicely, and I can even notice the plumped effect on the next day, with just single usage. My enlarged pores appear tighten and less visible, thanks to the plumping effect. Other than that, I can feel deeper skin moisturization when applied this ampoule. As age is taking on me, apparently water-base moisturizing products couldn't provide sufficient moisturization for my skin. This ampoule really delivers that moisturizing and nourishing effects. Anything related to skin soothing and calming? COUNT ME IN! Especially when you're living in this hot and humid weather all year long. While the Real Vita. 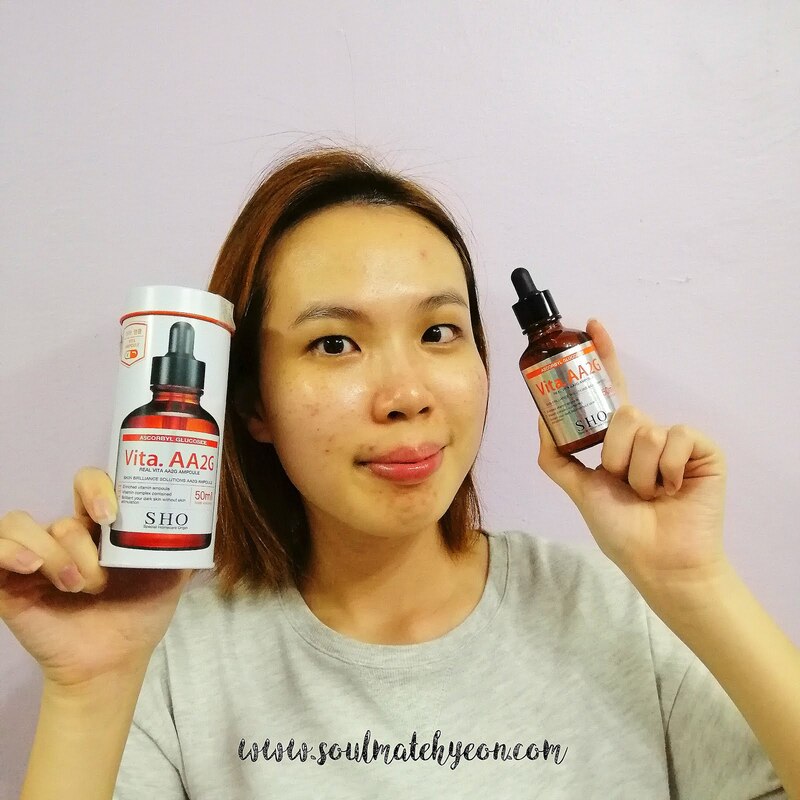 AA2G Ampoule is tackling on brightening and reducing acne scars, we have to find out the REAL reason behind all these evils (skin problems). Similar to the previous product, the sheet masks also came in tin cylinder holder. I never see any sheet mask packaging like this before. Super cool!! 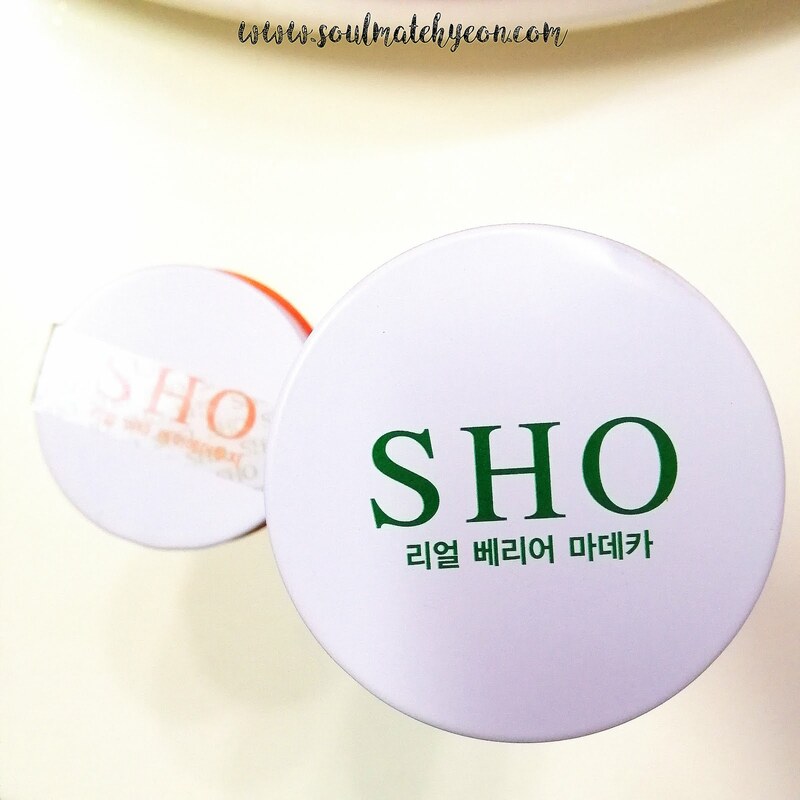 The tin holder carries 6 individual sheet masks. 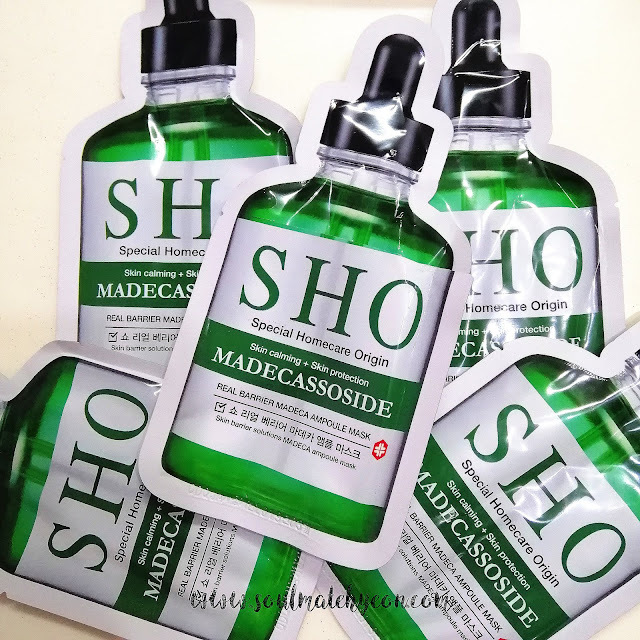 Before we further proceed, what is MADECASSOSIDE? Pomegranate, Rosa Centifolia Flower Water and Carthamus Tinctorius Flower Extract, which are filled with red vital energy that keep your skin healthy and vitalized. Balance care, skin protection, nourishing, skin calming, roughly and flaky skin care, and gives skin a beautiful sheen. Uneven skin tone, dry skin due to lack of aqua, the skin without nourishing. The ampoule inside the sheet mask has subtle green hue, causing the sheet mask to appear light green as well. It has an icy-mint scent. Almost like peppermint. The sheet mask itself is organic cupra sheets, which is claimed to be hypoallergenic and highly adherent to the skin. But on other hand, its moisturization and skin calming effect is no doubt impressive!! I have been using the Real Barrier Madeca Ampoule sheet masks for a couple days now, and I can see it really calms my aching and 'boiling' acne underneath the skin. 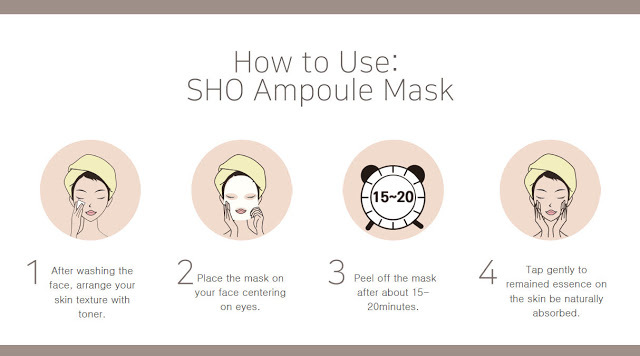 First thing, I'm impressed that they use ampoule instead of serum for the sheet masks (smart move). Besides, they are super generous with their ampoule! 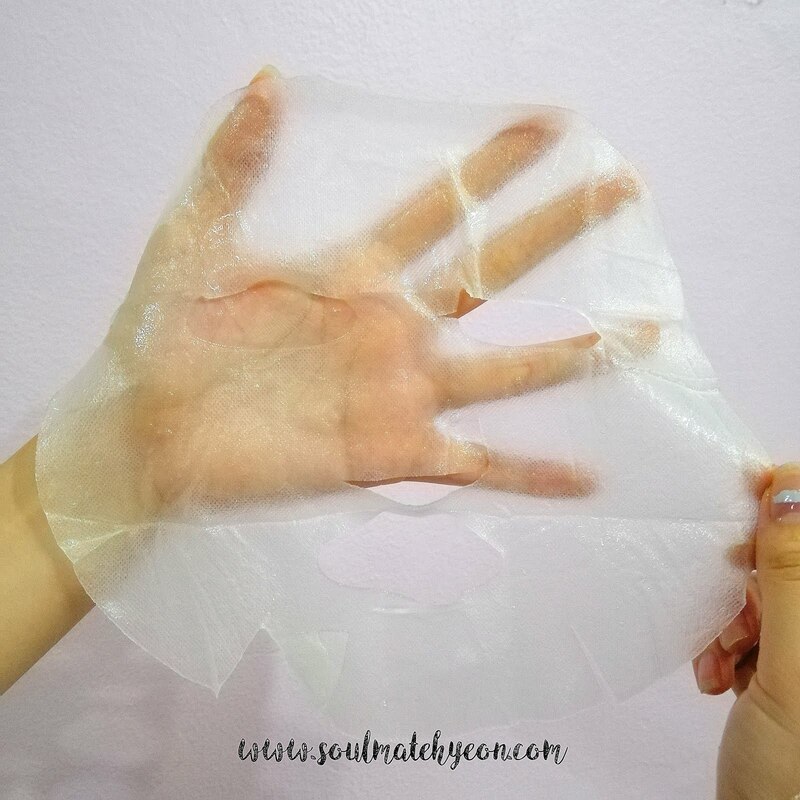 The sheet masks are densely packed and soaked in ampoule. It is not watery, nor runny. Pretty felt like a watery gel, which it will stay put without dripping all over the neck. 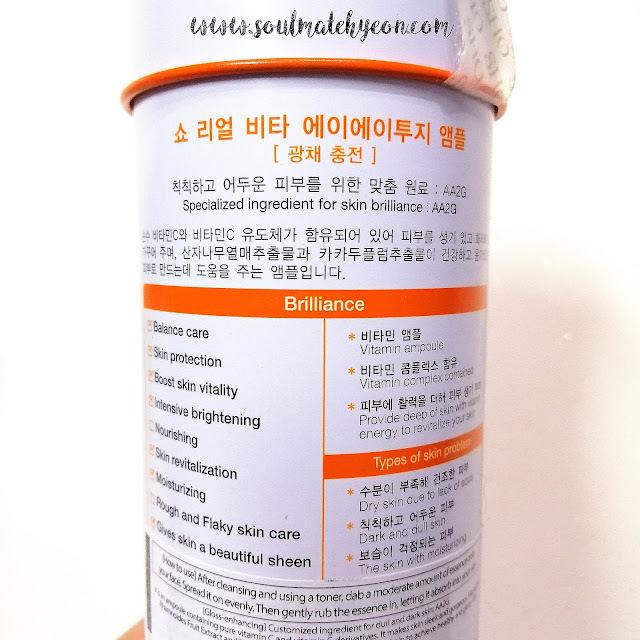 Suffered from red parched and flaky sensitive skin? Do consider giving these products a try. It works for me, and I hope it could help you too. These products are provided for review. it seems like I have to try this product. my skin is very dry even sometimes the skin peels off. Week 1 My Braces Diary - Get Started!